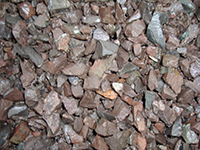 Barrachander can supply high PSV (Polished Stone Value) aggregates in various sizes. Listed below are our standard sizes but if any other sizes are required please phone the office for assistance. The geological make up of our quarry. Barrachander type 1 is tested and graded to MOT spec. It is ideal for use as a top wearing course for road construction or Sub Base. 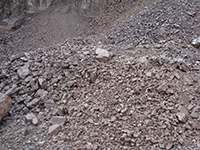 Used for the construction for roads or as fill material. 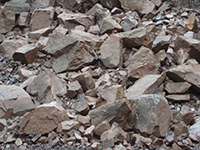 Our Armour stone is selected from the granite veins in our quarry to provide high strength Armour and rip rap that will stand the test of time. Used to fill gabion baskets or as wall support. 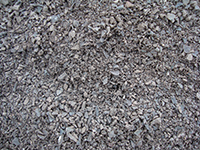 Used for the construction of dry stone dykes. 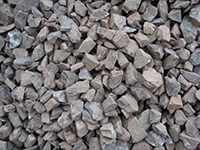 Used in drainage and as a larger size stone for driveways. 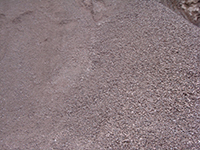 Used on paths and driveways and as a decorative aggregate. For blinding of roads or as a base layer for slabs. 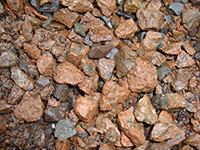 Selected from the red veins in our quarry and screened to make decorative aggregate for paths and driveways. Drainage layer to reinforced earth and anchored earth structures. Fill to reinforced earth and anchored earth. 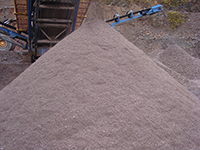 Lower bedding for corrugated steel buried structures. Upper bedding for corrugated steel buried structures. Surround to corrugated steel buried structures.